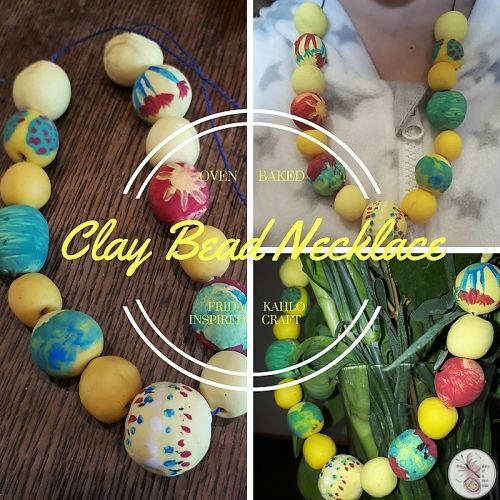 The next craft project for our Frida Kahlo learning was to make a bold and colourful beaded necklace from oven baked clay. How do these beads tie in with our Frida Kahlo based theme? Well, we’ve taken creative licence, for sure. What we know is that Frida Kahlo liked wearing bright, bold colours, and liked bringing the essence of Mexico to the world. Have a look on Google for Mexican art and you’ll see a lot of prime colours (we added green) and a lot of delicate patterns. 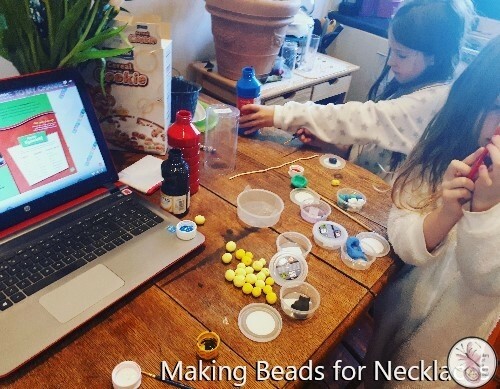 That’s what we were going for with these bead necklaces. If you look at images of our current heroine, you’ll see that she often wore big, bulky neck adornments too, so I reckon she’d have approved of our finished product. 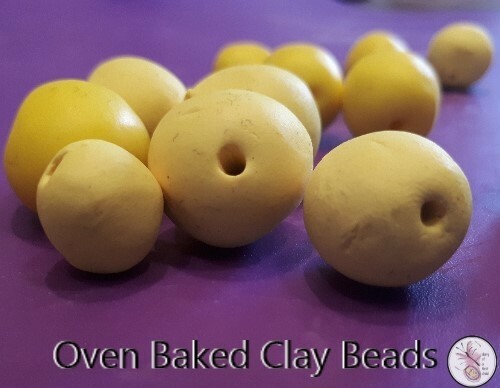 We had some yellow oven baked clay from our Bostik Blogger box, and I bought another as well. There are different types of oven clay and I might do a post around that soon, as some are nicer to work with than others. Anyway, we used a soft FIMO clay which is simple to work with, easy to mold and bakes in the oven in about 20 – 30 minutes. We have also had success making beads with Silk Air Dry Clay, which makes an almost sponge-like bead. 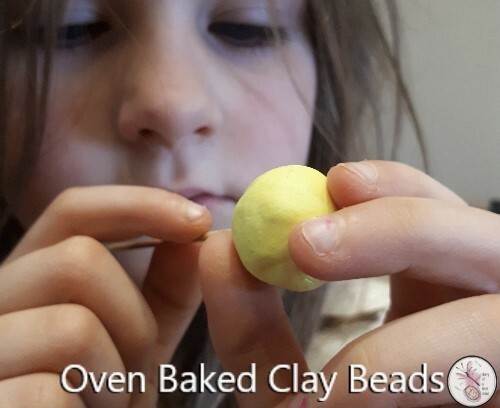 To make the beads, the girls rolled the clay into balls in the palms of their hands, then used a toothpick to make a hole through the centre. A little light reshaping may be required after, then place on a tray ready for the oven. They hold their shape really well – and you can see the two different colours we used: one was a paler lemon yellow and the other sunny’ yellow. We use a regular washable ‘school paint‘ though I do think an acrylic paint would work nicely too, and give a richer, bolder finish. We use what we have though, and it works.